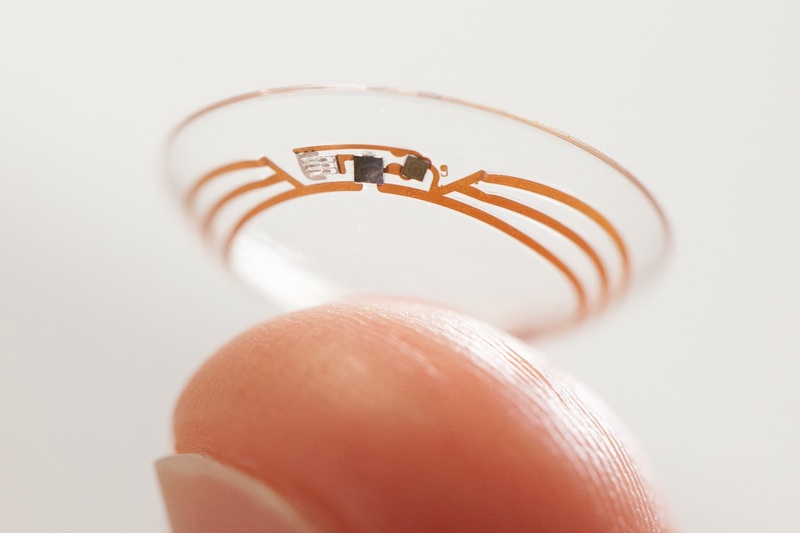 We’re now testing a smart contact lens that’s built to measure glucose levels in tears using a tiny wireless chip and miniaturized glucose sensor that are embedded between two layers of soft contact lens material. We’re testing prototypes that can generate a reading once per second. We’re also investigating the potential for this to serve as an early warning for the wearer, so we’re exploring integrating tiny LED lights that could light up to indicate that glucose levels have crossed above or below certain thresholds. It’s still early days for this technology, but we’ve completed multiple clinical research studies which are helping to refine our prototype. We hope this could someday lead to a new way for people with diabetes to manage their disease. You’ve probably heard that diabetes is a huge and growing problem—affecting one in every 19 people on the planet. But you may not be familiar with the daily struggle that many people with diabetes face as they try to keep their blood sugar levels under control. Uncontrolled blood sugar puts people at risk for a range of dangerous complications, some short-term and others longer term, including damage to the eyes, kidneys and heart. A friend of ours told us she worries about her mom, who once passed out from low blood sugar and drove her car off the road. Many people I’ve talked to say managing their diabetes is like having a part-time job. Glucose levels change frequently with normal activity like exercising or eating or even sweating. Sudden spikes or precipitous drops are dangerous and not uncommon, requiring round-the-clock monitoring. Although some people wear glucose monitors with a glucose sensor embedded under their skin, all people with diabetes must still prick their finger and test drops of blood throughout the day. It’s disruptive, and it’s painful. And, as a result, many people with diabetes check their blood glucose less often than they should.